Craft Storage: Recycle, Re-purpose & Re-use: Jars, Cups & Canisters! 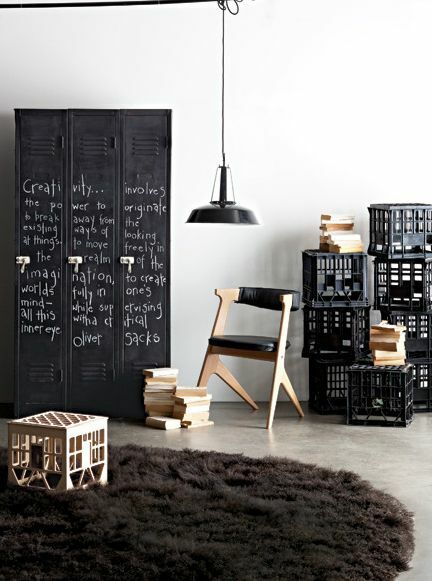 Craft Storage inspiration is sitting on your shelf…re-think those jars, cups & canisters you’re no longer using! It’s Kim from Stamping Imperfection here to share some quick and easy ideas to corral your tools, ribbons and embellishments. Do you ever feel like it would feel great to get organized, but you’re not sure where to start and the prices on the fancy organizing tools hold you back? I’ve been re-designing my crafting space to have a more cohesive look. In the process, I’ve been searching for ways to organize my stash that won’t break the bank. This is a beautifully cohesive look. 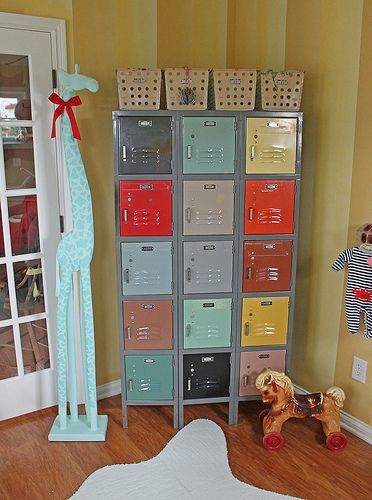 I love the color this adds to a craft room! The added advantage to using clear jars is that you can see exactly what you have and where it is! You don’t need a color coded map to find things! Another CSI post from ages ago led me to find crafters using salt and pepper shakers to store glitter! Check out the original post: Glitter Storage With A Vintage Twist where Liz from the Pink Petticoat blog shared this great idea! Need a clever idea for kids’ craft supplies? Simply glue a kids’ toy to the jar lid and paint it! 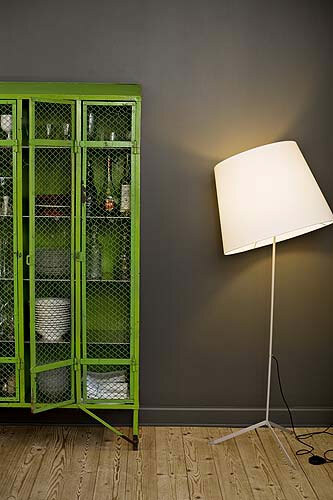 So simple, easy to find your things, and it looks great on a shelf or a desk. I had two great finds of my own while browsing the local hardware store. Of course, I added some stamping and embellishments to dress it up. You can check out the finished product on my blog at Stamping Imperfection! Another find for me was a giant Mason Jar. I’ve been looking for a pretty way to store retired ribbons that I can’t use on my blog anymore, but which I still plan to craft with. I bought one jar, but I’ll be going back tomorrow for a couple more of these! These will look great on a shelf and they will make it easy to find my older ribbons. 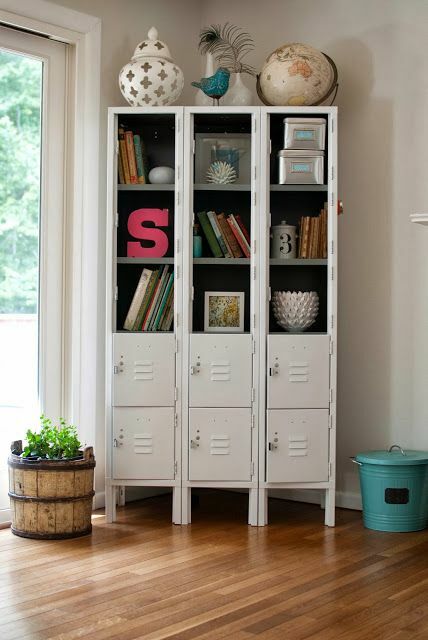 Do you have a beautiful canister or favorite glass storage container? Make sure to leave us a comment and tell us about it! I hope this has inspired you to check out the glass containers, cups and canisters you already have sitting on a shelf. Re-think what you can do with those today! Hello Y’all! It’s Cicily with a quick tip for you today. Jar Storage seems to be all the rage lately. I’m a pack rat at heart and hate to throw anything away (Certain areas of my house can attest to this). I love storing things in glass jars/cups/containers. Every time I use a glass jar and throw it away I cringe. Well last year it was time to make some pickles. I found this great recipe on Pinterest and because of the method I could use repurposed jars! Good thing because I had a mass quantity of cucumbers. 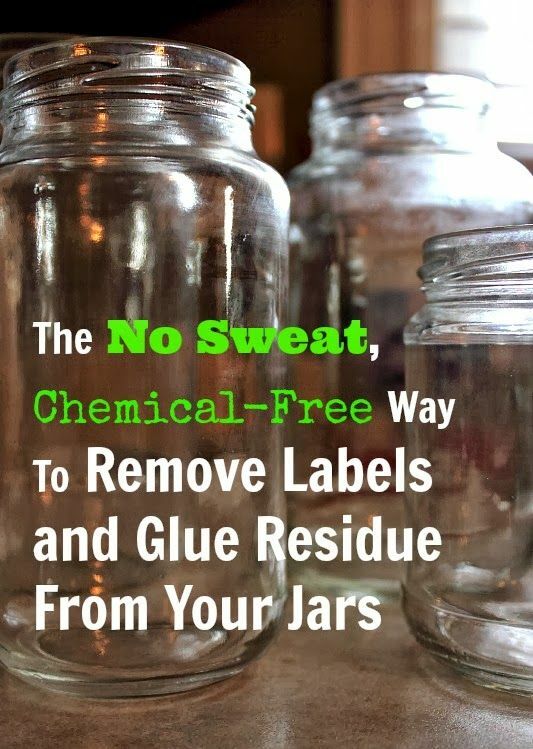 I wanted to share this One Tip: How to clean the gunk off those great food jars so you can repurpose them! Of course I found this on Pinterest! I did this and for the most part it worked! Now you can repurpose your jars for craft or food storage! Hi fellow crafters! It’s Cicily with a quick DIY/re-purpose project. I currently have 3 cribs set up in my house ( yes I said 3!) 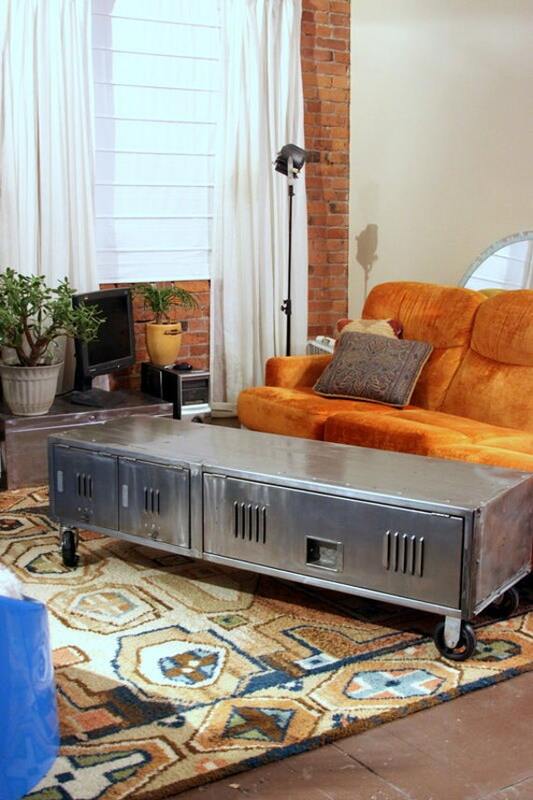 and hopefully soon will be able to do lots of repurpose projects with 2 of them! Lisa at Dwell Delightfully caught my attention with this repurposed crib turned fabric storage! I have to confess I went to check out the side rail that’s collecting dust in the back of the closet to see if it would work! Be sure and check out Lisa’s post and you’ll see how quick and easy it was to make this transformation. 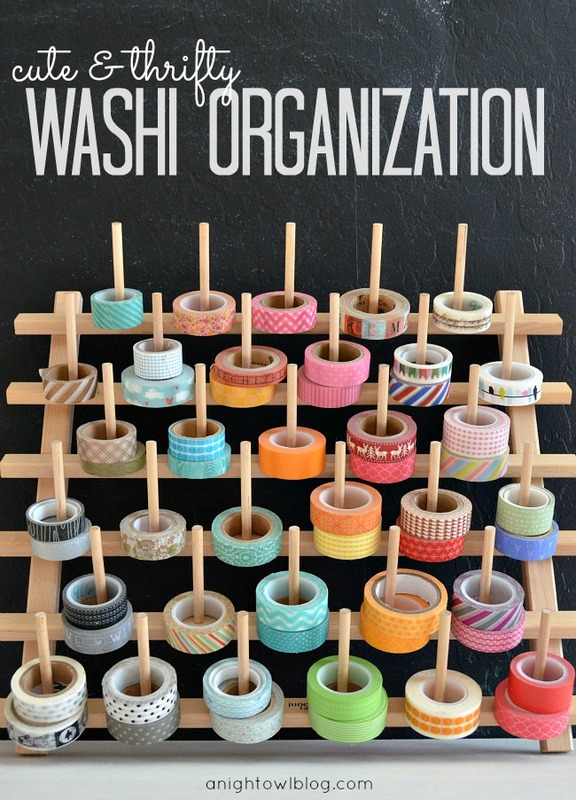 It’s Cicily and I’m sharing a few Washi Tape storage ideas. Yes, I know, more Washi Tape. But really can you ever have too much? I didn’t think so! So I’m thinking you can’t ever have enough storage solutions either. Actually I wanted to share Laura Vega’s new take on how she stores her Washi Tape. We featured her room HERE and I highly suggest you check it out. On to the Washi Tape. Laura needed a way to organize her tapes by Brand and came up with this solution after she had organized them for a class using large binder rings. With lots of left over rings, she realized this was the perfect solution for dilemma! She labeled them with vellum tags and keeps them in a pretty basket. I also have another solution for you. I love this idea. Kimberley of A Night Owl Blog used a spool thread holder she snagged at Goodwill for her ever-growing washi stash! Want to see more Washi Tape solutions? Just search “washi” on our blog or check out CSI on Pinterest.